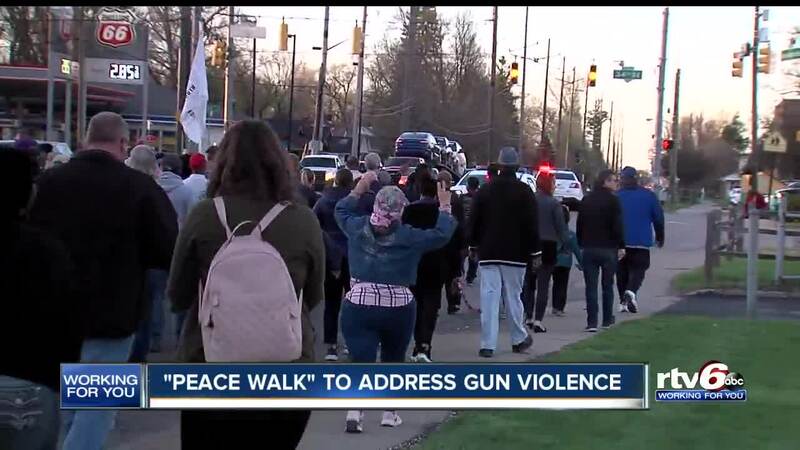 The peace walk was held Friday. 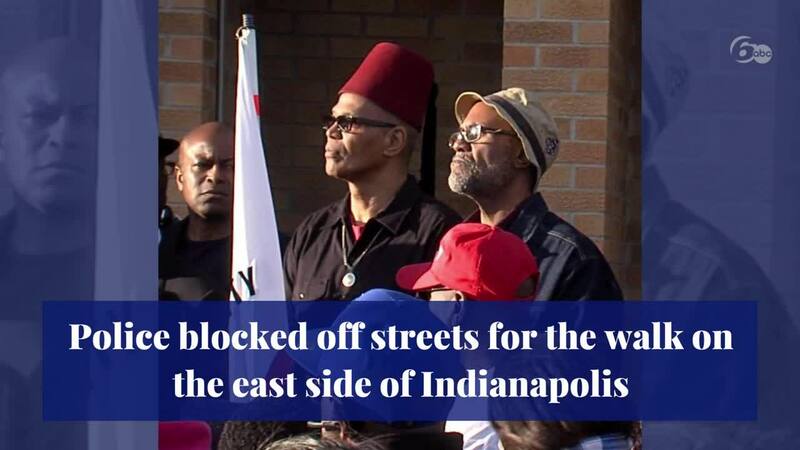 INDIANAPOLIS — The Indy Peace Walk was organized by community groups and the Fraternal Order of Police after last weekend's 24 hours of deadly violence. Police say from Saturday night to Sunday night, there were 11 shootings that left six people dead. You can watch the walk and hear from community leaders in the video player above. The walk began at 34th Street and Keystone, where police blocked off streets and escorted participants during the walk.